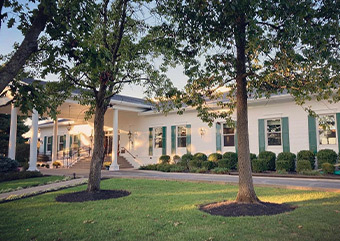 The creative sparks behind FMCC go back to 1903 and select members of the Inverness Club in Fort Thomas, KY. After purchasing a 70-acre private parcel of land in Fort Mitchell for $15,000, these choice members set out to provide Kenton County with its inaugural country club. Key leaders include Albert Marqua, the first FMCC “club steward” and a popular caterer; Thomas J. Creaghead, who built the debut golf course and A.N. McPeeters, who rebuilt the course in 1920 and continued to work as the grounds superintendent. FMCC members can look back with pride at the commitment of some 86 dedicated families who kept the club open past the Great Depression; opened the club swimming pool in 1942 and built a new clubhouse in 1971 to replace the original structure one year after a devastating fire. The history of FMCC is a legacy of commitment to all its members with an eye towards future needs. Of course, FMCC will never lose its spirit for Classic Kentucky Lifestyle.